It’s officially autumn here in New England. The air is crisp, with apple-scented undertones. The leaves are turning vibrant shades of yellow, red and orange. And everywhere you look there’s a group of travelers ready to capture that picture perfect vista. 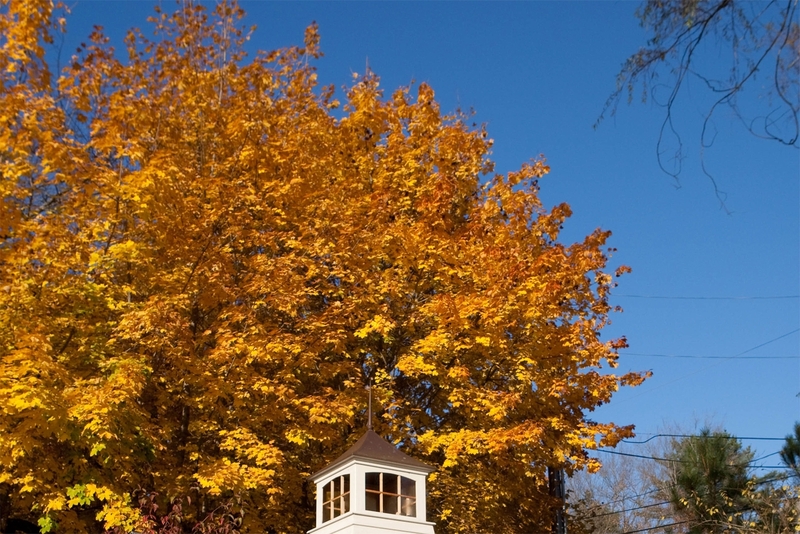 But it’s not just the colorful tree tops and pristine pumpkin patches that bring visitors in droves to our little corner of the world. In addition to seasonal delights, New England is home to a diverse collection of architectural styles within a short distance of one another. 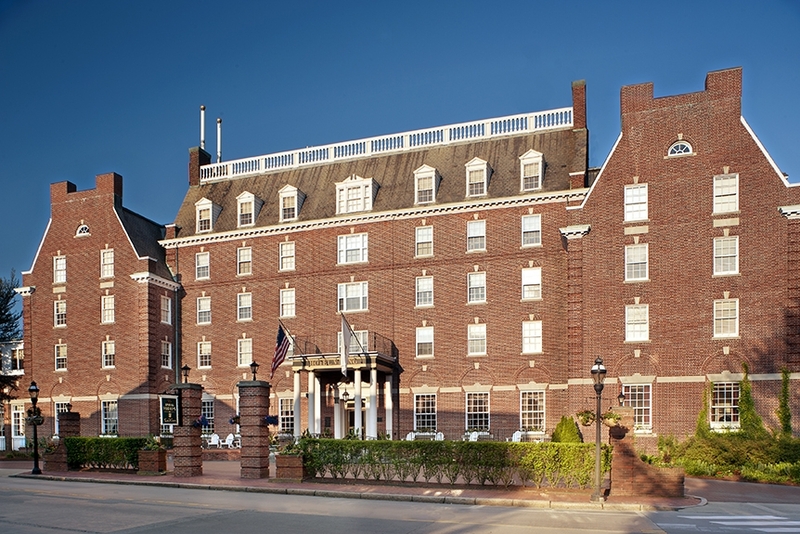 If you find yourself in New England this fall, I suggest taking some time to visit one of the architecturally distinctive hotels featured here. 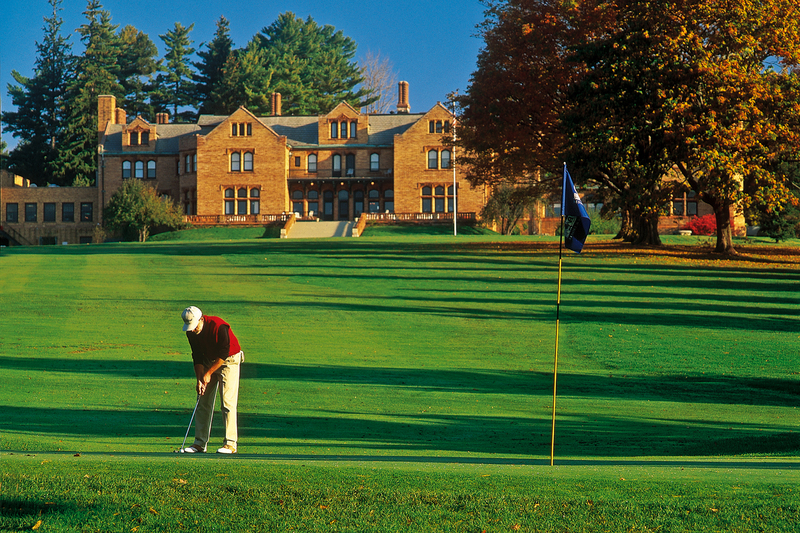 Perched high on Blossom Hill, overlooking exceptional mountain views, sits the historic Cranwell Resort. Built on land that was once owned by Reverend Henry Ward Beecher (the brother of legendary Harriet Beecher Stowe), Cranwell has been a standout feature of the Lenox landscape for over a century. 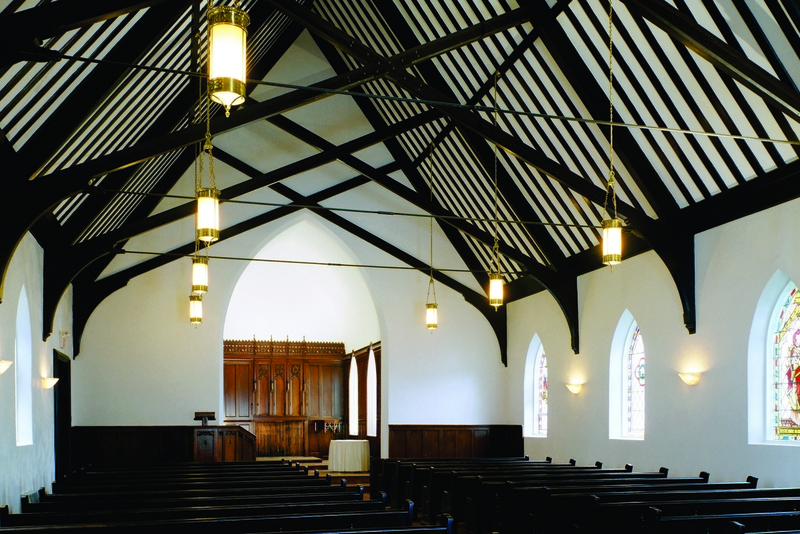 The property has changed course a few times since the days of Reverend Beecher, but it hasn’t lost any of its architectural grandeur, and historic design elements have been carefully preserved. 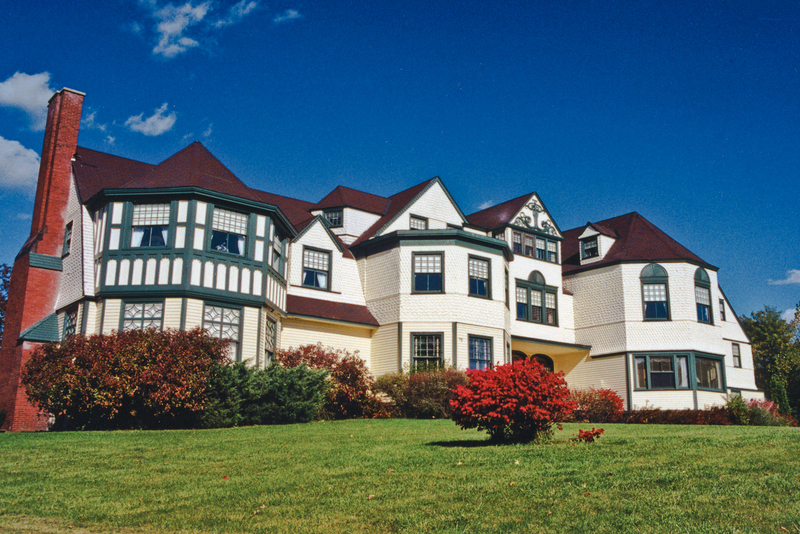 The resort consists of four buildings including Beecher’s Cottage, Founders, Olmstead Manor and Wyndhurst, a Tudor-style mansion built by John Sloane, of W&J Sloane furniture fame in 1894. 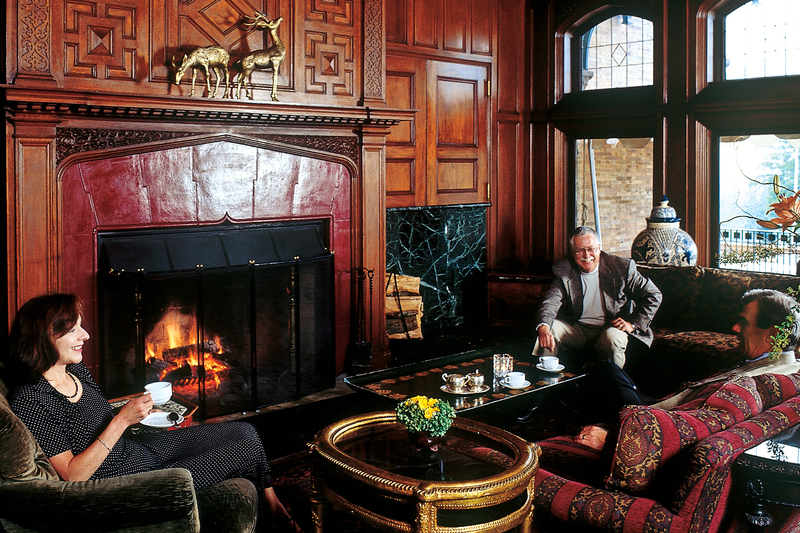 Inside the Mansion guests find stately accommodations and, in the Great Hall, design surprises like a wood paneled fireplace and traditional period décor. Built in 1895, this Neoclassic Romanesque building was originally home to the State of Maine Armory, considered one of the most impressive and well equipped armories in New England. The large drill hall was used as a location for public gatherings, and the building housed WW II soldiers who were temporarily displaced after the armory was moved in 1941. 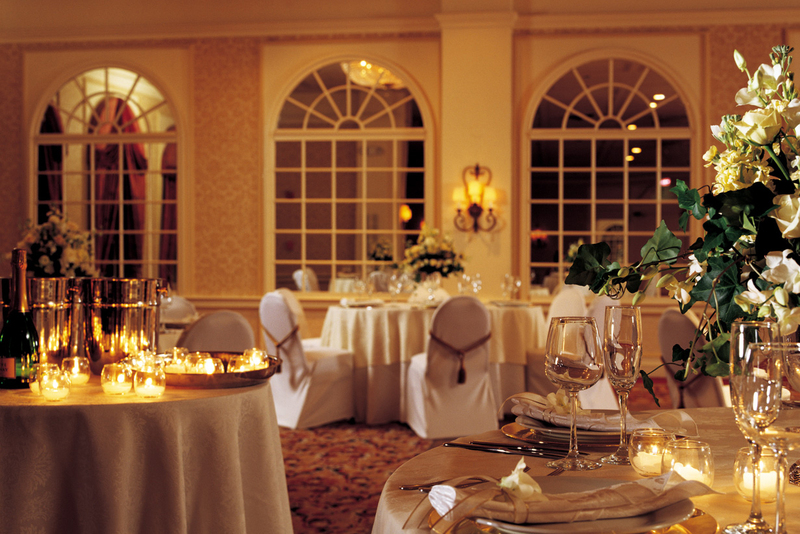 After bring purchased in 1987, the building was converted to the Portland Regency Hotel. The restoration maintained as many of the original materials as possible, and preserved the exterior of the armory: the redbrick turrets and expansive arched doorway still preside over Milk Street. 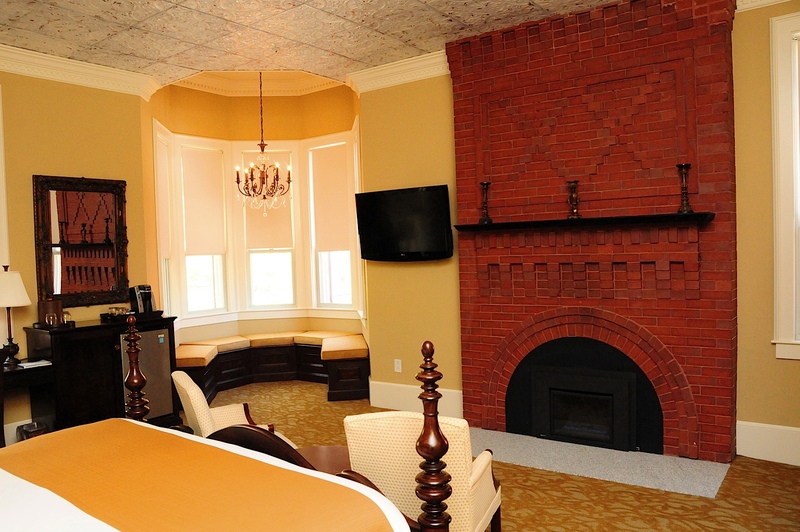 Inside the hotel guests enjoy traditional brick fireplaces and original glass windows of various shapes and sizes, mixed in with modern-day additions like skylights on the upper floors. A truly unique hotel in Newport’s history, the red carpets were rolled out when the Hotel Viking first opened its doors in 1926. 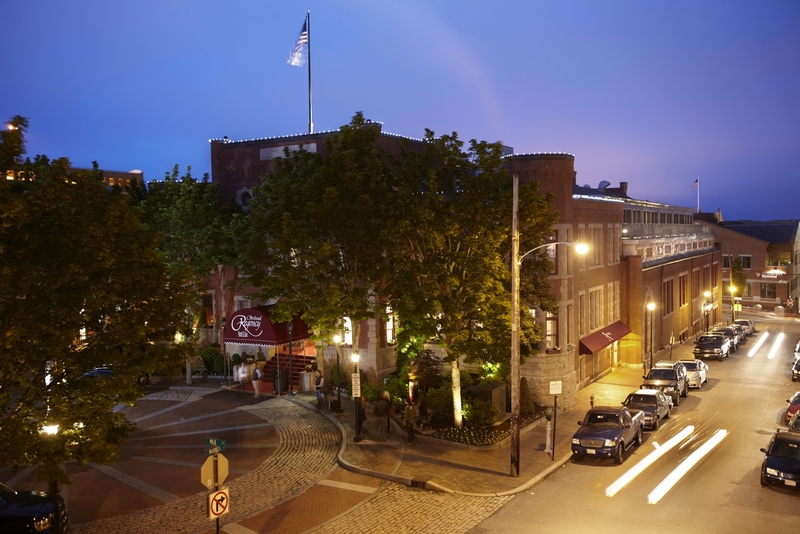 Known as the people’s hotel, this Newport gem was partially funded by locals who recognized the need for a grand hotel. Their vision included more than just a place to sleep. The city wanted an experience befitting the whims of America’s most wealthy. 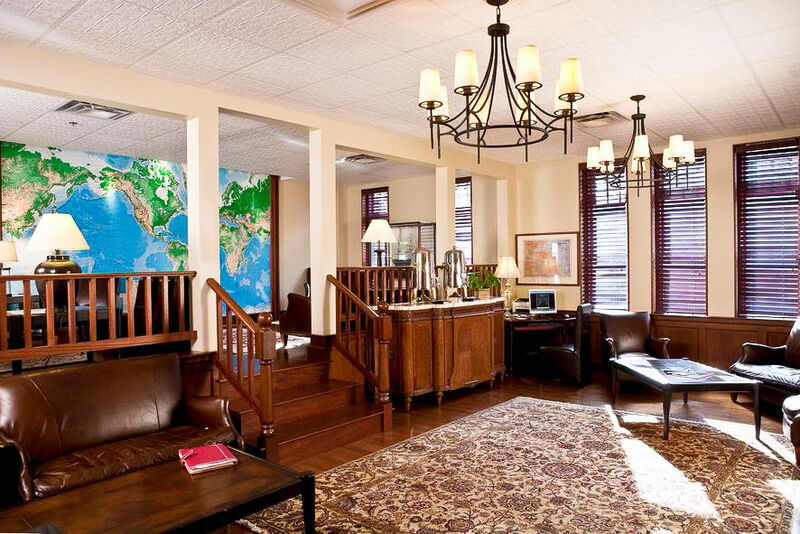 The hotel was built in a Georgian colonial style, incorporating Kay Chapel (built in 1869,) with luxurious décor suited to the decadence of the Roaring Twenties. Over the years the hotel has undergone renovations, but none of the timeless Gilded Age style and splendor has been lost. Additions to the original hotel include an outdoor pool and patio, a ballroom and the luxurious Spa Terre.